Truffles, when you hear the word, the one thing you might think they are are those ganache filled chocolates that are mouthwatering delicious to have. But there is another that is called truffles and is not just costlier that its namesake but is far far tastier and flavored too. 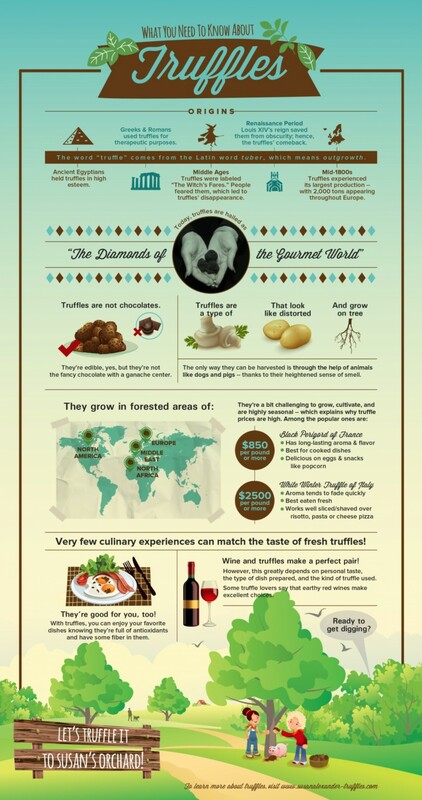 Truffles are actually a variety of mushrooms that look like potatoes and grow on trees in some regions of North America, Europe, Middle East and North Africa. They can only be found with the help of pigs and dogs because of these animals' heightened sense of smell and are actually quite rare as well as seasonal. They are quite hard to cultivate which is one of the many reasons why they are so highly prized.